Dared to kiss the adorkable Marcus Torelli at a party, Lena thinks it's the perfect opportunity to cross First Kiss off her list of "Things to Accomplish Before I Turn Fourteen." It's only when she gets sent on an assignment the next day she realizes something went horribly wrong. That ZING she felt wasn't the thrill of her first kiss she and Marcus have swapped powers Lena is not your average eighth grader, she's a soul collector with an serious job to do. 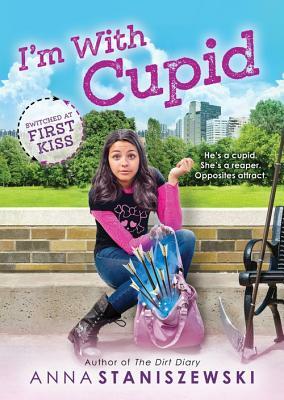 And Marcus turns out to be a supernatural matchmaker (like cupid, but without the diaper). Now logical Lena finds herself with the love touch, and sweet, sentimental Marcus has death at his fingertips. The truth is that Lena should never have taken that dare...because one little kiss has Lena and Marcus in a whole lotta trouble. "I LOVED it...sweet, sensitive, and delicious " --Erin Dionne, author of Models Don't Eat Chocolate Cookies.